Chinchillas are rodents that are generally nocturnal (active at night) but can also be active during the day. They should be provided with a hide box and some quiet time during the daylight hours in which to sleep, if they choose. They are curious, social pets that bond closely with their owners. They generally like to be held close and cuddled. They defecate frequently and can be trained to use a litter box with some effort. When they are stressed, their stool may become soft, and they may chew on their own fur - a process called barbering. They may also release large clumps of fur when they are restrained unwillingly. 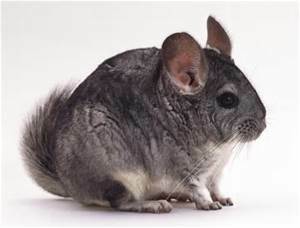 Chinchillas need to bathe in fine dust one to two times a week to keep their coats healthy. 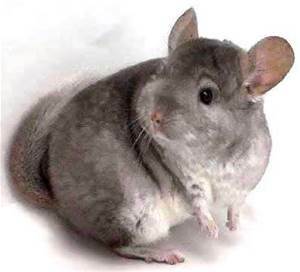 Bathing dust is commercially available from pet stores and can be provided to the chinchilla in a small metal box. 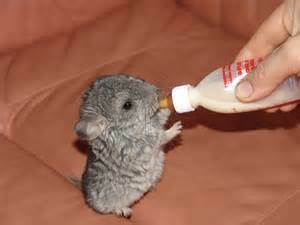 Chinchillas should be kept at cool, dry temperatures (approximately 50-70 degrees F) and should not be overheated. Chinchillas should be housed in the largest cages possible. The minimum cage size for an adult chinchilla is approximately 3 feet by 2 feet by 2 feet. Cages may be made of welded wire mesh but should have some area of solid flooring, to prevent the development of pressure sores on the soles of the feet. Ideally, cages should have multiple levels to enable climbing and jumping. Bedding should be made from plain paper, newspaper, or commercially available shredded recycled newspaper products. Wood shavings are not recommended, as they can be dusty and are indigestible. 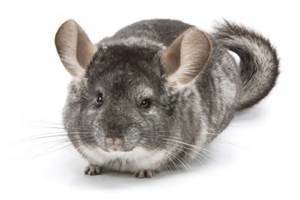 Chinchillas should be taken out of the cage every day to play and exercise, but they should never be left unsupervised, as they may chew on electric cords, painted surfaces, and other toxins. 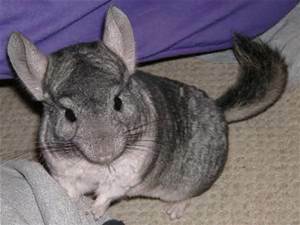 Chinchillas should be kept away from other potentially predatory pets, such as cats and dogs. 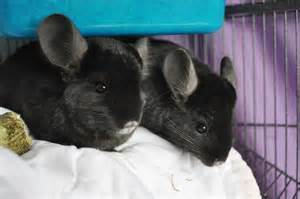 Additionally, since their teeth grow throughout their lives, chinchillas should be provided with safe wood objects on which to chew. The main component in a chinchilla's diet should be hay. 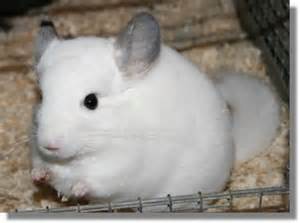 Fully grown adult chinchillas should be offered unlimited amounts of Timothy hay. Young, growing chinchillas or nursing mothers may be given alfalfa hay that is higher in calcium content. Long-term consumption of alfalfa hay by an adult chinchilla may lead to the development of bladder stones from excessive calcium absorption into the blood and urine. 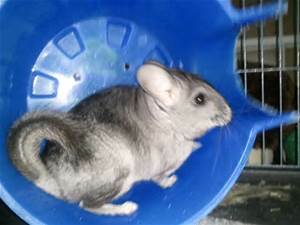 Chinchillas should be provided with small amounts (1 -2 tablespoons per day for an adult) of commercially available pelleted food specifically formulated for chinchillas. Diets made for rabbits or other rodent species are not recommended. Ideally, pellets for adult chinchillas should be made from Timothy hay, rather than alfalfa hay, due to alfalfa's excessive calcium content. Small amounts of fresh greens (such as dark lettuces and other vegetables) may be offered daily to provide fiber and help wear down growing teeth; however, excess vegetable consumption may lead to diarrhea. Sugary treats (such as raisins, dried fruits, yogurt drops, etc.) and high fat foods (such as nuts and sunflower seeds) should be avoided to prevent gastrointestinal upset and obesity. Fresh water should be provided every day via sipper or water bottle. Chinchillas should be checked annually by a veterinarian. Proper diet and housing should be discussed, and a complete physical examination should be performed, including a check of the pet's front and back teeth. 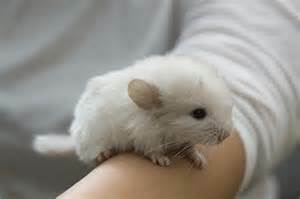 The chinchilla should be weighed and a stool sample should be analyzed for unwanted bacteria or parasites. Proper preventive medical care, before problems arise, can help promote lifelong health from your chinchilla. To learn more about our Exotic Medicine, Small Mammal and Rodent Medicine, and Boarding services, please click on these links. Contact us to schedule your Chinchilla's annual wellness examination today!